Back in 1959 Sammy Rimington played with Barry Martyn’s band. His spectacular jazz career as a professional musician with Ken Colyer’s band started in 1960. 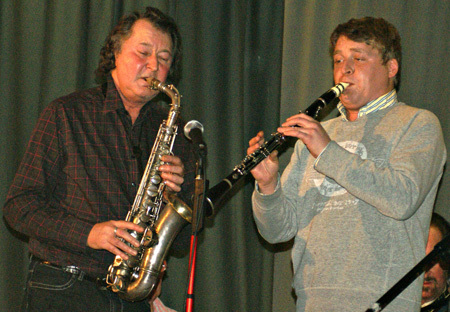 In those years my lifelong friend Roger followed his gigs in Kent so when Sammy was booked to appear with his International Jazz Band at the 2008 Ken Colyer Trust Hemsby Autumn Jazz Festival in Norfolk, it didn’t take much persuading for me to join Roger at the festival. Since then I’ve made a point of keeping up with Sammy, who now lives in Sweden, and his International Jazz Band during their UK winter tours. 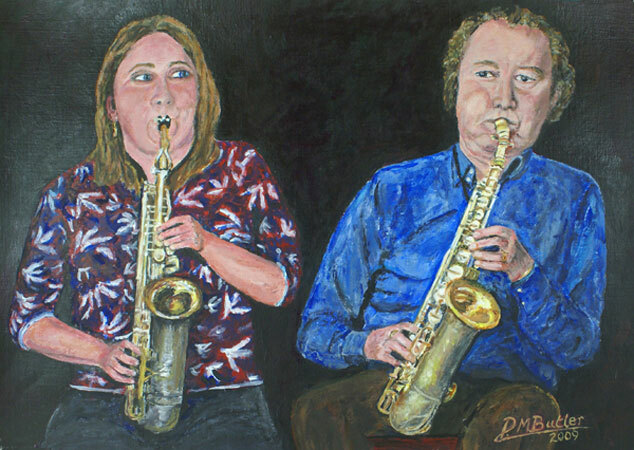 His concerts of Hymns and Spirituals in the New Orleans Style at Folkestone’s United Reformed Church have been nothing short of inspirational and his Trad Jazz gigs at Chilham Village Hall always pack in the fans. Some accolade from a legend of jazz who has performed with Louis Nelson, Big Jim Robinson, Chris Barber, Kid Thomas Valentine and Captain John Handy. "Eyes on the Master" - portrait of Sammy in duet with rising star Amy Roberts.